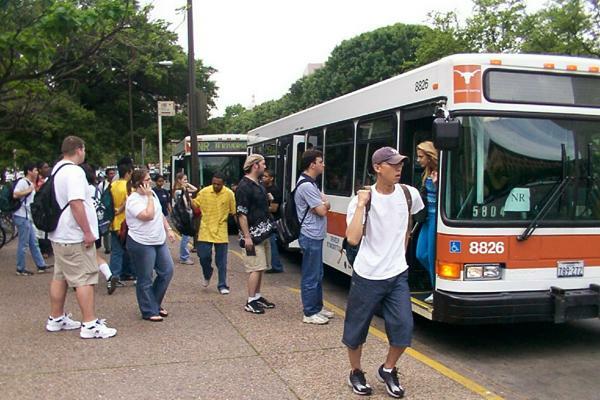 The Cap Metro board is scheduled to vote on the increase at 3 p.m.
Cap Metro’s Misty Whited told us about the most controversial fare hikes in a story KUT's Mose Buchele filed after attending a public hearing last month. “Right now seniors and persons with disabilities ride bus and rail services at no costs, we would start charging them a reduced rate at 50 cents per ride or a 31 days pass would cost 15 dollars,” said Whited. You can see a chart of proposed fares here. If approved, they would take effect January 2011.